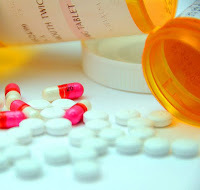 The abuse of prescription drugs is the fastest growing drug problem in the United States. Governor Hickenlooper's office has released the final strategic plan, and workgroups are meeting to implement the recommendations. You can follow the links above to read more about national recommendations on each topic. The strategic plan was developed as part of the National Governors Association (NGA)'s Prescription Drug Abuse Reduction Project. Read the Governor's letter to support this project here. Gov. John Hickenlooper and Alabama Gov. Robert Bentley co-chair the year-long policy academy aimed at helping states in their efforts. The NGA has also released an Issue Brief on this topic: Six Strategies for Reducing Prescription Drug Abuse. *For best results with the PowerPoint presentation, download the document using the downward arrow in the upper left side of the screen.